This week I based playroom on the Alphabet Soup principles. It is a program which was developed to focus on active play, literacy and family eating principles. At CFY, we follow these principles each week but I took some of the ideas from the Alphabet Soup manual. We also made alphabet crafts to go along with it. 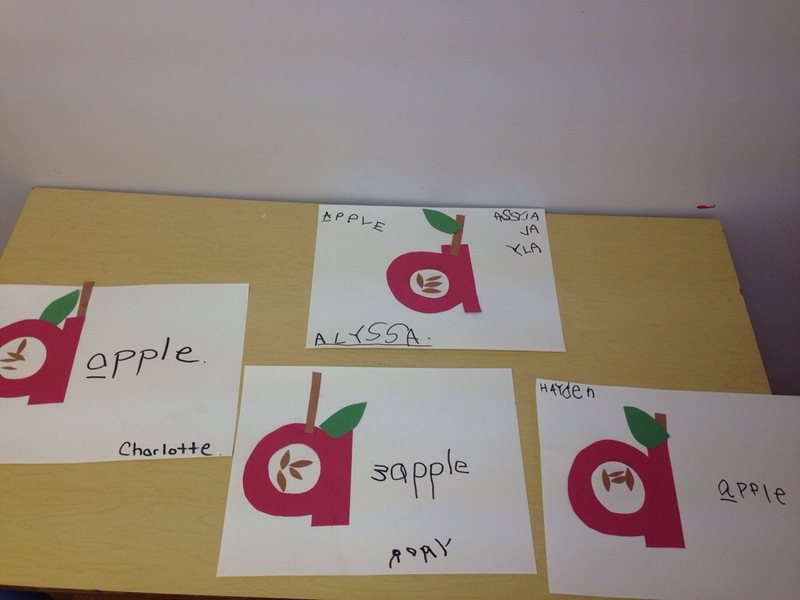 This week we made apples out of the small letter “a”. 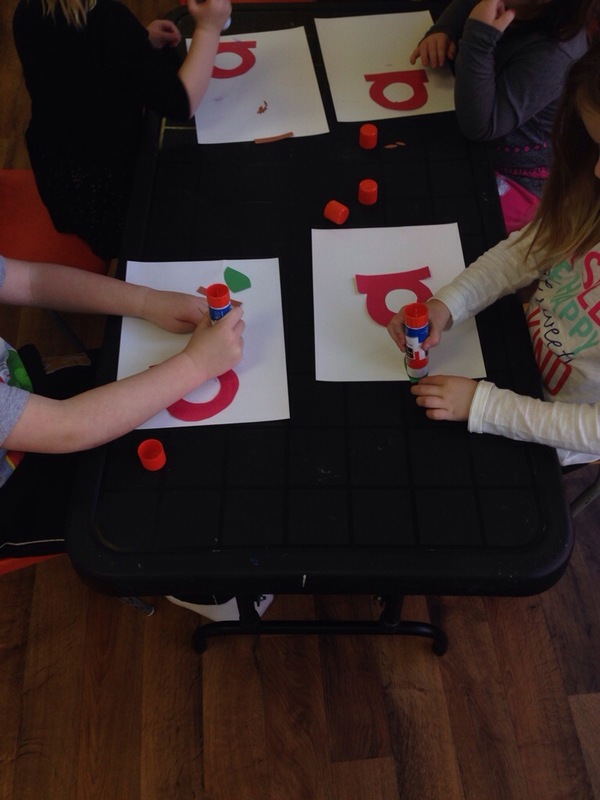 We will try and have an alphabet craft once a month now. 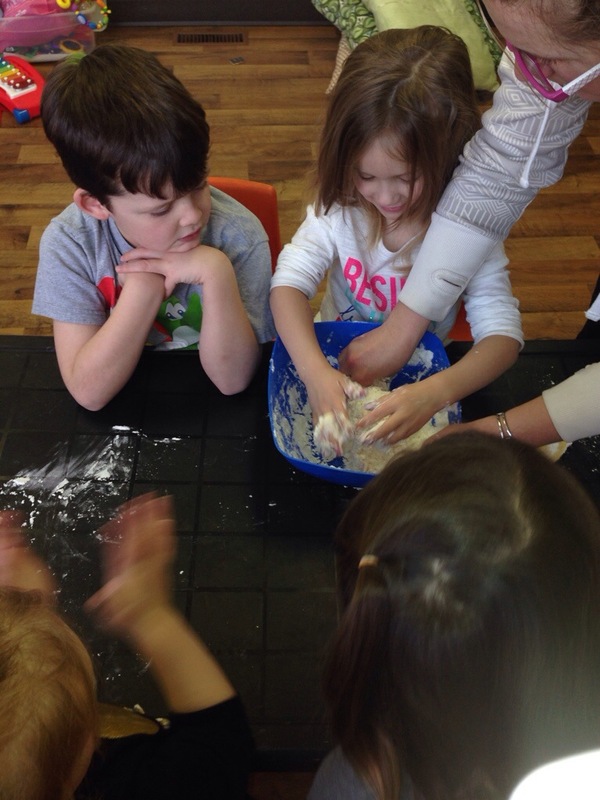 We also made our own play doh which the kids LOVED. 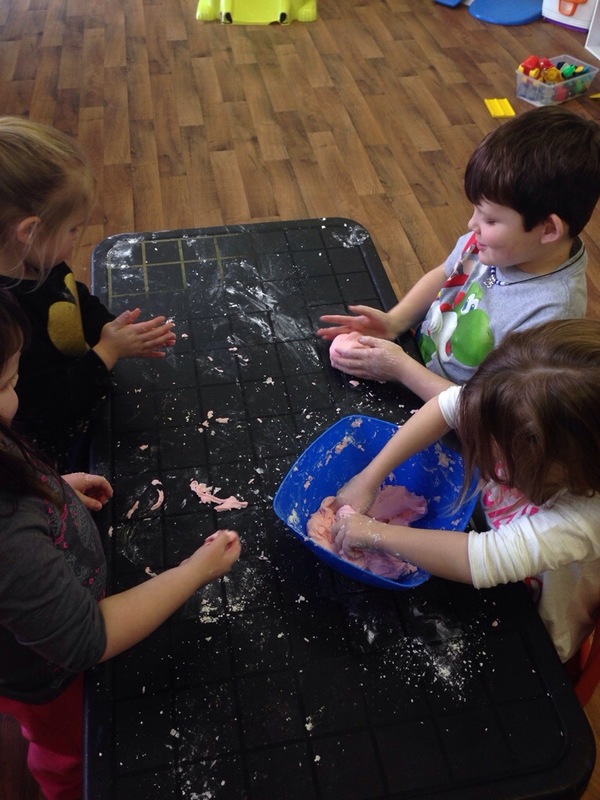 We made the soft as cloud play doh. It will start out a little sticky but as the kids play with it, it will become the right consistency.